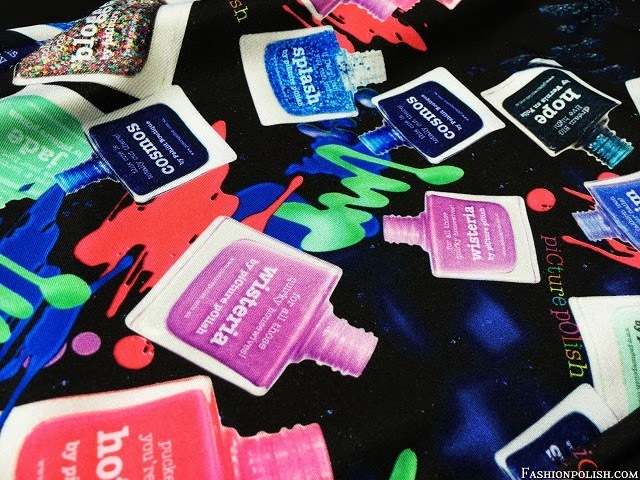 Fashion Polish: piCture pOlish Collector's Edition Leggings & Super Styling review! 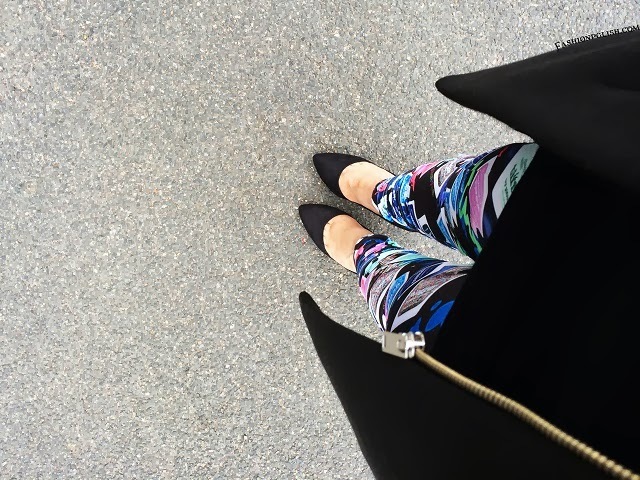 piCture pOlish Collector's Edition Leggings & Super Styling review! I have something out of the ordinary to show you today! piCture pOlish leggings are a pair of stretchy silky black leggings with gathered bottoms and a very colorful PP bottles pattern. Super soft, high quality, relatively thick but surprisingly lightweight polyester/lycra fabric, they felt extremely comfy on! 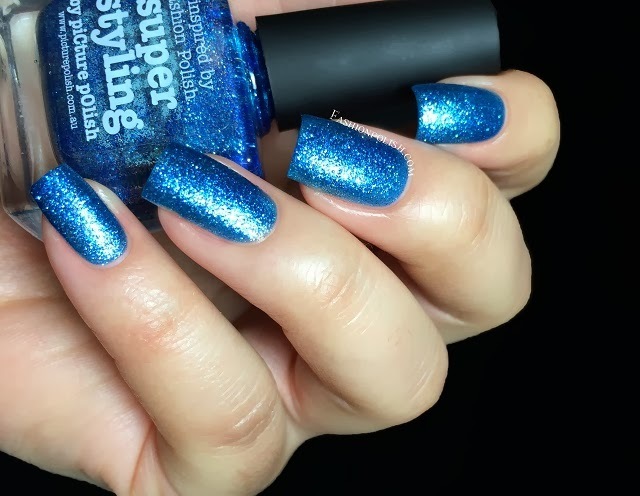 Super Styling is a really dense sapphire blue glitter in a matching jelly base, in other words, a bright blue glitter bomb! Even tough the girls at PP took inspiration from my blog to create this color, I had no idea what it looked like before opening my package! LOVE! Formula was easy to work with, sheer on the first coat but completely even and opaque on the second. 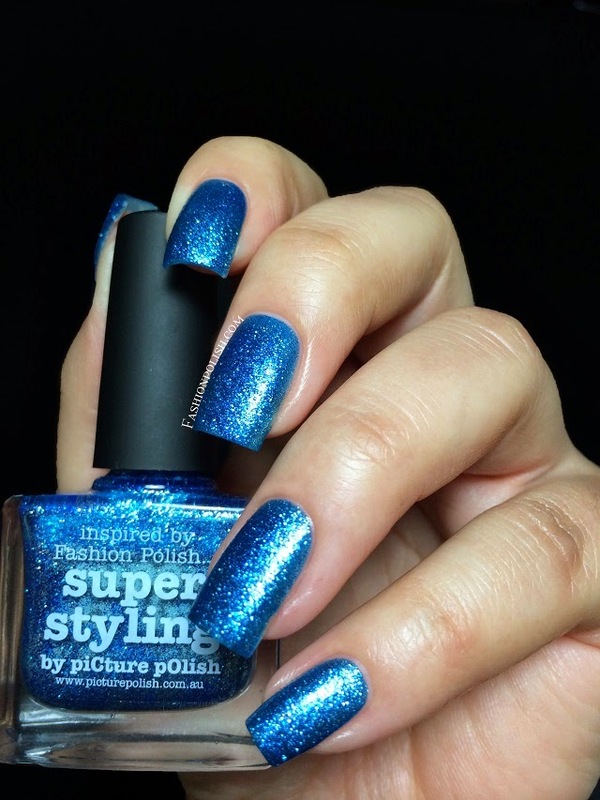 I love that piCture pOlish is stepping out of their comfort zone with this collector set. 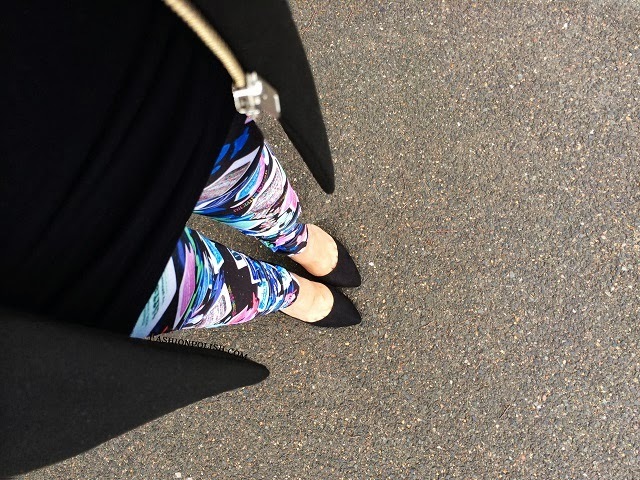 Nail polish themed leggings aren't exactly what I'd first reach for on a daily basis but these are so much fun and feel SO comfy that I couldn't have passed on them!